The federal government’s Commission of Audit – tasked with finding efficiency and productivity improvements to deliver a surplus of 1% of GDP prior to 2023-24 – remains overshadowed by the many reviews that have come before it, specifically those related to taxation reform. There certainly isn’t anything wrong with conducting an audit but it’s a big ask that the Commission deliver a surplus for the government, particularly given economists such as Ken Henry and organisations like the Grattan Institute and PwC have pointed out Australia’s tax and transfer system has fundamental structural problems. In the absence of substantial tax reform, it will become increasingly difficult for federal governments to balance their budgets. Australia’s Future Tax System, often referred to as the Henry Tax Review, was generally applauded by economists and economics commentators. The report contained 138 recommendations. Since the review was completed in 2009, just a handful of these have been implemented and most of those have only been partially implemented. Such is the power of vested interests and the fear of opposition scare campaigns that meaningful tax reform is becoming increasingly difficult. Many have argued that the era of serious policy reform is over. This may explain why an audit is seen as the main path to a budget surplus. 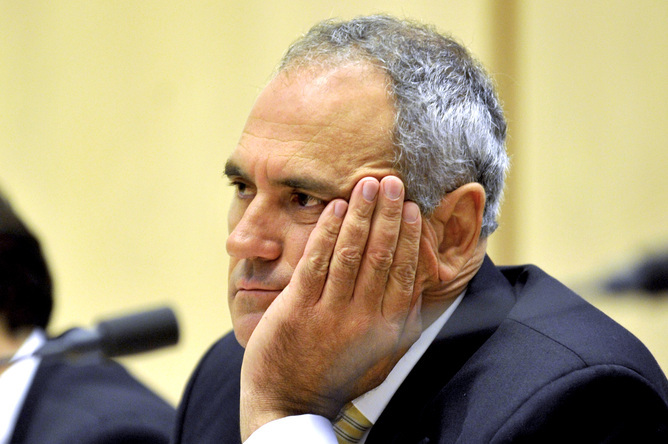 Imagine if, instead of being tasked with a tax review, the team headed by Ken Henry had been tasked with implementing a tax and transfer system. I don’t agree with every recommendation made by the Henry Review but if all were implemented I have no doubt our economy would be on a much more stable and sustainable footing. I doubt you’d find many economists who would disagree. I would like to float the idea of an Independent Taxation Board, something like the Reserve Bank board, which could be charged with actually enacting taxes and raising revenue. The government of the day could submit its policy priorities and desired revenue to the board and it would determine the most effective and efficient tax mix and rates for raising the desired revenue and meeting the stated social goals (while maintaining a relatively stable tax regime after the initial reform process). If the actual raising of tax was left to technocrats, and the government was forced to be transparent about the goals it wanted achieved through the tax and transfer system, it would be very difficult to serve vested interests who have captured the government of the day. It would also be more difficult for governments to use deficits as excuses for cutting programs they don’t like – instead they would have to actually explain why they really want to cut them. Under this scenario there would be no point in the mining industry spending tens of millions of dollars on an advertising scare campaign to derail tax reform because the Independent Taxation Board’s decisions would not be subject to parliamentary review. Many potential pitfalls would need to be considered and avoided if this idea was to be implemented but none I have thought of so far is a deal breaker when contrasted with the current inefficient taxation system and the barriers put up against every serious reform proposal. I’m sure some would argue that the base and the rate of every tax should be subject to democratic scrutiny. However, as I’ve commented elsewhere, taxation economics is complex and very vulnerable to scare campaigns. Tony Abbott’s scare campaign about the carbon tax putting a wrecking ball through our economy is a great example, as was the Labor opposition’s scare campaign about the introduction of the GST and the Coalition and mining company campaigns against the various mining tax proposals. In every case mentioned above the opponents of reform were making statements which, to a tax economist, were obviously false or grossly exaggerated. However, the average person on the street doesn’t know much about tax economics and, for the most part, doesn’t want to know (believe me, my knowledge of tax economics is no asset at a party). All of the above reasons make me think that democratic scrutiny of the details of the tax system is not necessarily desirable. But scrutiny and transparency of the principles used to derive the tax system is altogether warranted and desirable. At the moment, we have the former and not the latter. In the absence of clear statements from the government requesting tax reform to be skewed to favour the wealthy, an independent board would surely make our tax and transfer system more progressive as well as making it more efficient and stable. Would that be a bad thing? Of course, the Catch 22 here is that the Independent Taxation Board represents a radical reform. How would it be implemented in this seemingly post-reform era? Warwick Smith does not work for, consult to, own shares in or receive funding from any company or organisation that would benefit from this article, and has no relevant affiliations. This entry was posted in Inequality, Political philosophy, tax economics and tagged Economic policy, Ken Henry, taxation policy, The Conversation. Bookmark the permalink.